WhatsApp is becoming the most popular app today for smartphone users worldwide and claims to have more than 1 billion users. 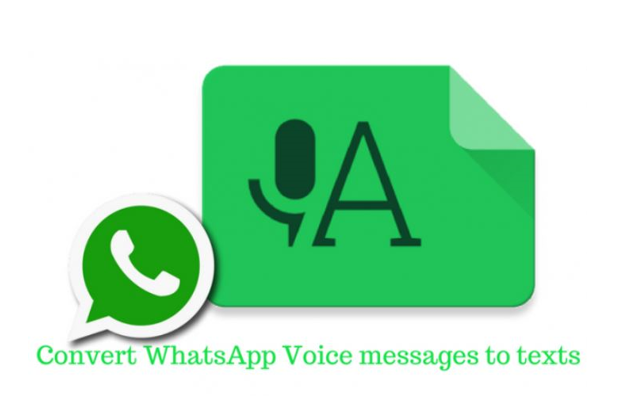 How do I convert a voice message to text on WhatsApp? First, download the 'Transcriber for WhatsApp' app by visiting the Google Play Store on your Android phone. Then open the app and you will see a welcome page and some hints on how it works. You can select options such as the language settings you want to have the voice messages converted later. In addition, this option will also detect the default language, conversion quality, etc. Next tap or tap and hold voice mail then touch the share icon at the top, from here select Transcriber from the options list. The Transcriber app will convert voice messages into easy-to-read text. Additionally, if you enable the quick launch feature in app settings, you can turn voice messages into text just by tapping the play button on your voicemail. Currently, Transcriber supports several popular languages such as English, Hindi, Urdu, Bangla, and several other foreign languages such as Dutch, Portuguese, etc. And support for more languages allegedly will be added as soon as the user needs.